My husband is pretty fond of the cranberry bliss bars that show up at Starbucks this time of year. I just stumbled upon this recipe that Kasey makes and I will have to have my hubby give it a taste test too see if it is the same thing. Even if it isn't, a cranberry cake cookie with cream cheese frosting still has to be pretty yummy. The perfect winter time treat. 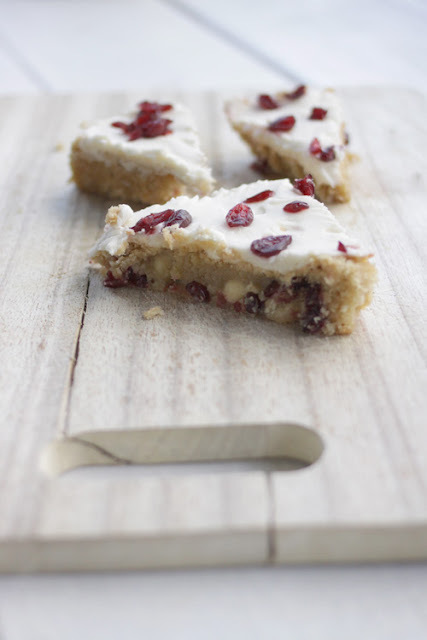 You can get Kasey's cranberry bliss bar recipe over at One Girl Talks.